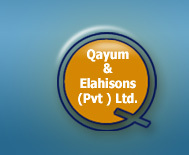 About QAYUM & ELAHISONS (Pvt) Ltd. Carrying forward the family tradition Abdul Qayum Khan (Late) founded Qayum & Elahisons in early sixties to manufacture high quality surgical, dental instruments and scissors all kinds to win sizeable share of business arising from the world-wide growing needs of these lines. Slowly but steadily Qayum established itself as quality manufacturer and supplier, and a reliable business pertner. Concurrent with the business growth all necessary machinery and equimpment were added to the facility as and when needed. The products are made from selected materials as required by the buyers. The materials are generally imported and the stainless steel picked from AISI-300 and AISI-400 series to meet the specific need of each product. No wonder that our products fulfil all the requirements for genuine quality, performance and reliability. Recent years have witnessed rise of a global wave of general awareness, resulting in redical changes in the business traditions. Importance of quality has now been recognized as one of the top priorities for viable business across different markets. Traditional working on inspection oriented approach in the final phases has been replaced by a process make a good quality end product. Manufacturer s and venders have started documenting their manufacture to maintain the track record and history of each product. Following this healthy trend Qayum has also adopted and put in place the cGMP as Outlined by the American Food & Drug Administration. Keeping ourselves abreast of the latest technical and administrative developments and applying them to enter the new era of modernization and progression, we acquired ISO-9002 certification in the recent months. The company is also registered for CE marking on its products. To cope with the challenge of high precious as envisaged by these international quality standards we have engaged highly educated managment, professionally sound engineers and highly skilled technicians for our products to succeed in competitive atmosphere. Muhammad Aslam Khan, the present Chief Exective after completing his formal education joined hands with his father at the time of establishment of the company. Propelled by need of the hour, he quickly gained enough experience to run the company in the later year. Imtiaz Mahmood Khan: Director Exports and Marketing, after completing his formal education joined his elder brothers to acquire all technical and administrative aspects of the company business. Keeping an eye on the rapid changes brought about by the information technology he likes to be in step with the latest developments being applied in allied business. He has a natural flair of good inter-personal communication skills and keeps a regular schedule of business trips to company clients in various markets of Far East, Middle East, EU, and the Latin American countries. Saad Bin Imtiaz: Director Marketing, did ACCA, UK with specialization in marketing. Keeping an eye on the rapid changes brought about by the information technology he likes to be in step with the latest developments being applied in the allied businesses. He is looking after the quality assurance systems and has explored new valuable markets in Middle East & EU. Fazal Mohy Ud Din: Director Production and Procurement, realising the work burden joined his elders in 1990 to look after the production. A keen hard worker, with a natural technical acumen aided by long hands- on experience of the surgical industry, he is a valuable asset for the company.